Hi everyone, Steph Ackerman here. It's Wednesday and I'm so sorry for this late post. Seems I scheduled it for PM and not AM!!! But I'd love to show you my newest projects this week. 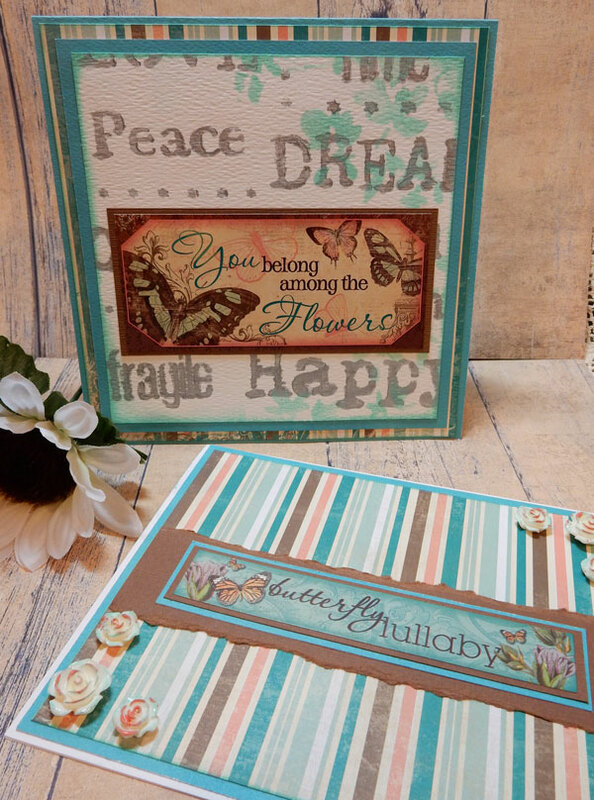 Create a 5 1/2" square card from Bo Bunny cardstock. Cut striped paper slightly smaller and adhere. Cut Bo Bunny cardstock slightly smaller, then cut watercolor paper to fit. Place stencil on watercolor paper and paint with Sterling Paint. Once dry, place Blossom Stencil on top and ink. 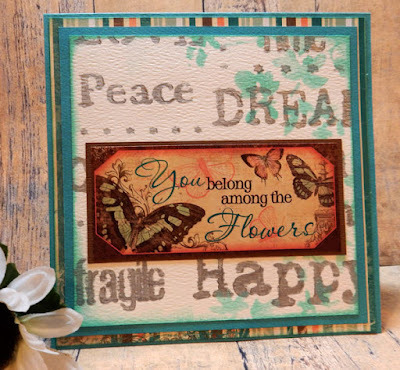 Adhere panel to card and embellish with a sticker matted with kraft cardstock. My second card uses a premade card, and I cut Bo Bunny cardstock to fit. Embellish with a sticker matted with 2 layers of cardstock. 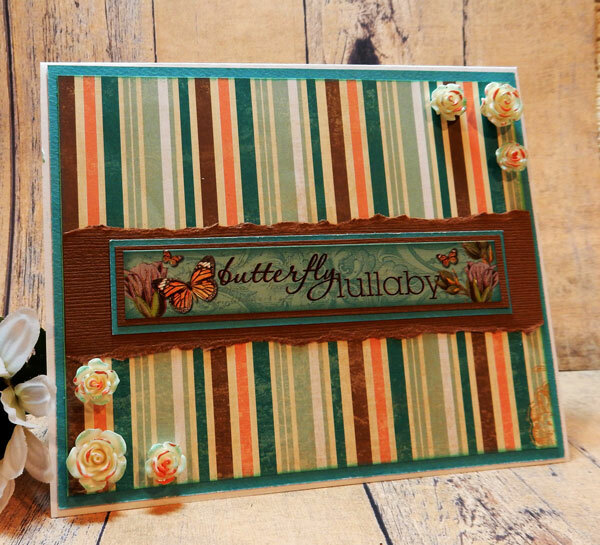 Tear a strip of brown to fit across card. I inked the Roses with Clearsnap Ink, then dabbed Coral Stain on top for a little more color. 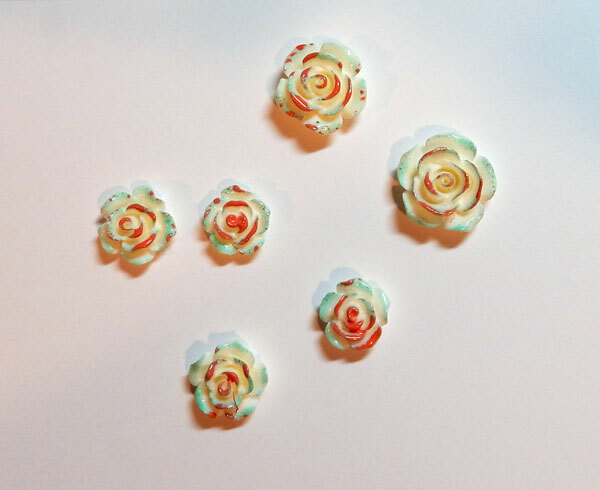 Adhere the roses to the card. Since they are lightweight, they add very little weight to the card.